Welcome to our accessible sailing and powerboating information page. Ages 6 – 96 welcome. If you have any kind of impairment, physical disability or learning disability we have scheduled sessions every week. Private sessions also available. Stay active and enjoy being on the water. See below specific information for the boats, timings, how to book and also links to our Story Boards (step by step guides with pictures for what the sessions involve). Please click here for our location and contact details link if you have any further questions and to get in touch. 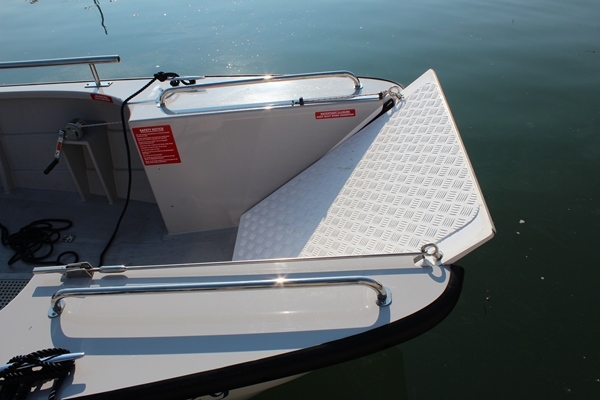 What is available on our Accessible Boats? Regular sessions available every week. Beginner – racing, adult only sessions, and more! Gain RYA certification in sailing and powerboating. Pre-booking is essential. Get in touch to discuss your requirements or book in online. Hawk 20 Accessible Keelboat is a very versatile boat. We are currently designing a support seat to enable people who cannot sit unaided to sail this boat which we hope to have available in 2019. Sailors can be hoisted in with a sling system. 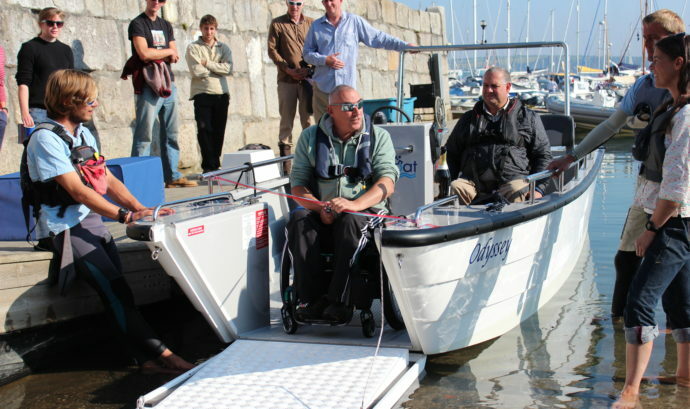 This is a fantastic boat for anyone with either a physical disability, including wheelchair users and people with mobility problems or a learning difficulty. A variety of other sessions available for compatibility purposes. The Mylor Sailability is the charitable arm of Mylor Sailing School and is a Charity Incorporated Organisation (CIO) charity number 1159984 and was founded by Tracey Boyne (owner of Mylor Sailing School) in 2014. 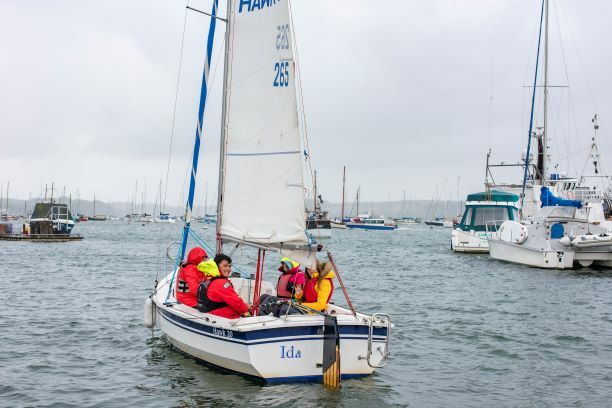 Due to the very high demand of sailing and powerboating activities required for all ages and levels of health impairments, physical disabilities and learning difficutlies, a charitable arm of Mylor Sailing School was started. It is dependent on outside donations and funding to keep the sessions as affordable as possible. For the information on our trustees, you can see a link at the footer of the page. HMS Go - Want to donate on a regular basis? 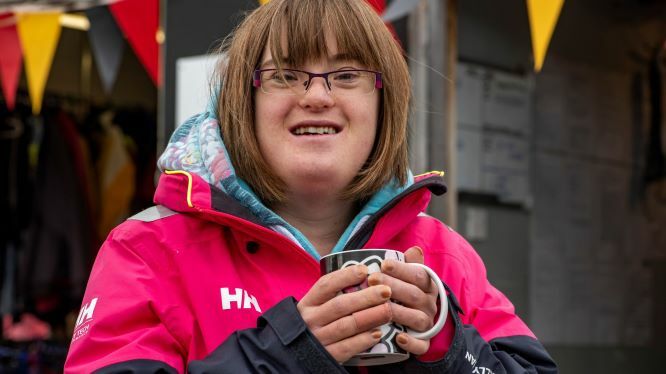 Donate on a regular basis with our HMS Go scheme (Help Mylor Sailability Go). You can set up a direct debit via our secure payment gateway GoCardLess. This link takes you straight through to setting up with a mandate online. You can choose the amount you wish to pay either monthly or annually.